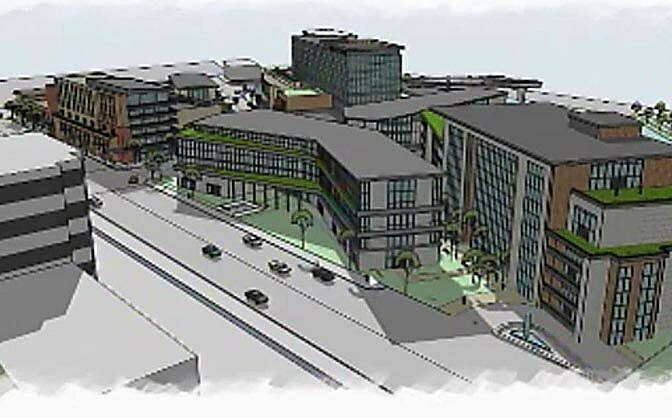 Members of the Missoula City Council launched into negotiations Wednesday with a team of developers looking to invest in the Riverfront Triangle and transform the blighted property into a major downtown attraction. The discussions begin the final leg of a years-long process and will likely culminate with a land use and development agreement for the 7-acre parcel, part of which is owned by the city. The land use agreement touches on a number of issues, including vacating public right of way, rezoning and approval of a land use agreement. The latter provides additional standards and requirements on how the site will be developed. Mary McCrae of Development Services said the project fits with the city’s downtown master plan and growth policy. The documents recommend an urban center land use with high-intensity commercial, office and residential development. “The plan anticipated a combination of public and private investment for the Riverfront Triangle catalyst project, including hotel, restaurant, retail, office, residential and parking uses, and an extension of the Riverfront Trail along the river,” McCrae said. The city granted Hotel Fox Partners exclusive rights to develop the property in 2011. The plan has grown over time to include a 200-room hotel and large conference center capable of drawing regional events. Estimated at roughly $150 million, the project would take several years to complete and include housing, retail and office space, with a portion of it dedicated to medical use. If successful, the development could infuse the city with an estimated $32 million in new visitor spending. The agreement, as written, calls for an extension of the Riverfront Trail along the length of the project. It also calls for a public plaza and “unobstructed views through the site” along the Riverfront Trail. Parking is also a requirement of the plan and will likely be included in two underground parking decks and a third parking garage. While much of that parking will be open to the public, those negotiations are still being detailed. The agreement would also dictate commercial design standards, including facade requirements and window glazing. Several council members want parking structures “screened” from public view, and buildings that don’t present a “monolithic” aesthetic. Crouch said the success of the project will depend upon its design, regardless of the city’s requirements. 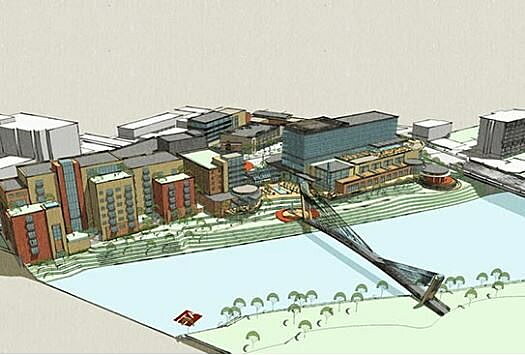 The city is also asking the developers to consider the Clark Fork River in the project. Questions over bank stabilization, storm water retention and vegetation will be addressed in the agreement. Ward 4 council member John DiBari said the river should play central to the project.